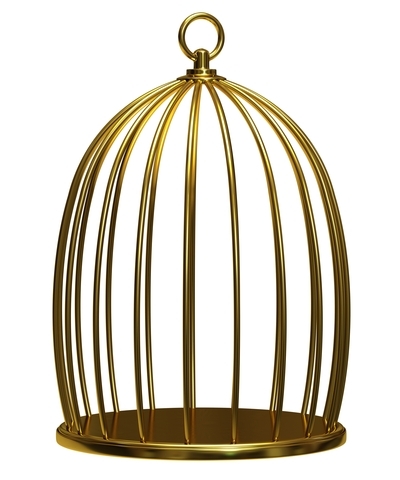 A golden cage; that’s how Luxembourg is described at times; alluring in some ways, suffocating in others – kind of like a celestial snare. A fitting description, I suppose, if you work here. But for those who play the role of house spouse – the trailing spouse in local parlance – the cage can become corroded. From my various perches; the kitchen, the laundry room, the cleaning supply closet, or behind the wheel, there are two looming factors that make being a house spouse in The Grand Duchy difficult. For one, many of us are overqualified. At first reading, that might sound arrogant. How could someone be too good to look after the family and raise the kids? Our moms did it. True, but chances are they didn’t have – due to a bevy of reasons – the education, the impetus, or the social leeway to work outside the home. Here in Luxembourg, though, many women are well educated and have a variety of life experiences and opportunities beyond the front door. The same goes for us men who are the homemakers. To be sure, people who fit this description have chosen (hopefully, collectively with their spouse) to live here and take on the role. Overall, and despite it not being an easy job, it is arguably difficult to complain. There’s plenty of free time, a flexible schedule, and for those of us with kids, the chance to live a lifestyle of a bygone era and be the primary shaper in their lives. That’s a treasure never to be taken lightly. Nonetheless, many of us stay-at-home house spouses feel short-changed. A life of leisure had initial appeal. Awhile into it, though, and “Dammit!” we say. We had higher aspirations, were maybe even on our own career path prior to finding ourselves unemployed and trapped in the financially fertile vault of the EU. And now we feel like it’s all gone; our studies, pursuits, and promotions were all for naught. This leads to the second downside of being a house spouse here in Luxembourg. It’s pretty much a permanent position. Almost all working expats are in a career post that is all but impossible to walk away from. There’s little incentive to give it up. That’s bad news for the trailing spouse. For her or him, the new post is house spouse: cook, cleaner, shopper, taxi driver, and trip planner. Although the responsibilities are huge, the pay stinks. And the job security, so valued in other lines of work, is at times depressingly permanent. Yet, just as there is permanence in change, there is change within permanence. If you have found that your “pre-Lux” career has been put on hold indefinitely, maybe even infinitely, you probably have plenty of free time on your hands, even if you have kids. Further, you undoubtedly have skills and/or interests that can be broadened or explored. Thus, right now is the ideal moment to reinvent who you are. Don’t devolve into thinking you are in a dead-end dilemma. You’ve already mastered the role of family manager so why not go a bit further and create another position and title for yourself. Let it be something that rekindles your desire to explore. We’ve all got something in us that yearns for further cultivation, something more than a hobby; something that can grow and be shared with others; something to be pursued like a great quest. A first step is to ascertain what that something is. Meanwhile, acknowledge that your former career pursuit is over – or at least on a very long-term sabbatical. Then, find out what other skills, abilities, and personal connections you have in your arsenal. Finally, find ways to activate and develop those dormant attributes. Then, let fly. Luxembourg is a prime location for such launchings of self-expression and self-endeavour. It has the perfect size and diversity for striking a balance between the daily drudgeries of household duties and exploring the interests that stoke one’s fire. Furthermore, it is getting increasingly easier to start up your own business. Doing the paperwork and obtaining the proper business licenses take little time or effort. Nonetheless, it does take initiative. As Lao Tzu said, “When I let go of what I am, I become what I might be”. The time is ripe for letting go of the past and seizing hold of the present. Though the cage still will be your home, you can put the key to the future in your hand. By Dan Franch, January 2013. Dan is also a Wort columnist. Hi Dan, interesting article. I’m just curious why you don’t consider going back to full-time employment (the ‘pre-Lux career’) to be an option for trailing spouses, but you do suggest starting a business…does it have to do with work permit issues? Thanks for the comment. I have tried going back to teaching (in fact, I taught at St. George’s and The Waldorf School before we moved to Eritrea), but when we moved back here, I did not have any luck finding another teaching position. Hence, I found various free-lance work like CLEW, Wort, and tutoring to keep me busy. The point about starting a business is that maybe a person can’t find a job in their field of expertise (due to openings, language, work permits), but they can start something on their own. It doesn’t necessarily have to be a business that requires a work permit, though. I think Luxembourg has nothing to do with stay-at-home moms. This was your choice and is not connected to Luxembourg. And thanks for your comment. Actually, the decision to stay in Luxembourg was a joint choice between my wife and I. It was not an easy one. We moved from Luxembourg to Eritrea for my job. We then came back to Luxembourg to give it another try. I was ready to move again to be in the international teaching circuit. However, for our family, Luxembourg has far more benefits than living in most other places. Also, I have found that Luxembourg — because it is small and very international — is quite an easy place for a trailing spouse to find things to keep them busy. Dan, you’re quite brave to claim being over qualified :-). I think I’d prefer to say that I have other qualities AS WELL as beeing a house spouse (love that expression btw – house spouse!). But you are quite right to say that you can still use your other qualites (or qualifications) even while being a stay at home parent. I’ve been the house spouse for 12 years in 5 countries so far and have always managed to stay “busy”. Thanks for the comment, and “other qualities” is a nicely worded phrase. Incidentally, “overqualified” was not meant as too good for such work. Out of curiosity, have you found that Luxembourg is an easier place to “stay ‘busy'” than other places you have lived? No I wouldn’t say Luxembourg is “easier” in that way. And I think this very much also depends on the age of the kids as much as the country. Living in Germany I used to run a small business and give creativity classes. I would not do that here simply because of the huge mix of nationalities makes this difficult language wise. In the middle east I stayed busy because of the very big social life you have as an expat there :-). I think we have to adjust to where we are and make the best of it. Here I decided to start a blog and this “keeps me busy” and suits my life in Luxembourg perfectly. So, every country will challenge us in their own ways and every country has their specific advantages.